It’s official! 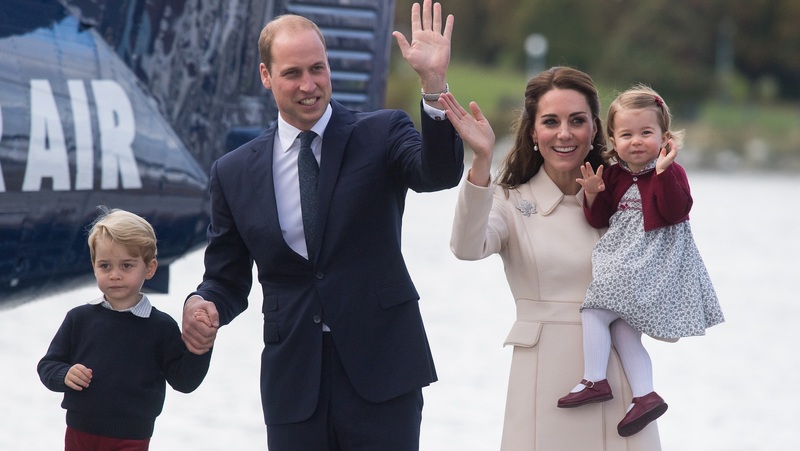 Prince William and the former Kate Middleton have let us in on their due date: The royal couple is expecting their third child in April 2018. They released the news today via a statement posted on Kensington Palace’s official Twitter account. “The Duke and Duchess of Cambridge are delighted to confirm they are expecting a baby in April 2018,” the palace tweeted. Which means spring baby! Which means adorable royal clothing with bunnies and chicks! We hope this announcement is an encouraging sign that Kate’s severe form of morning sickness — hyperemesis gravidarum — is waning. Her cheerful frolicking with Paddington Bear yesterday at a children’s charities event was another hopeful sign, maybe. Her surprise appearance there delighted the crowd (and us) and was only her second public appearance since she and William let us in on the pregnancy news back in September. We’re really, really hoping that Prince George’s journey to kinghood isn’t quite as dramatic as Simba’s (ascension to throne caused by dad being killed by a stampede of wildebeests) and we certainly wouldn’t wish any Mufasa-Scar-level rivalry between George and any future brother of his. But will there be a brother? We hope we don’t have to wait until April 2018 to find out.